Hip-hop group Wu-Tang Clan announced this week that they’ll make just one copy of their next album, sparking speculation and discussion all over Facebook. How much interest did this announcement generate? Tons. According to Mediabistro’s PageData, the Wu-Tang Clan’s Facebook page has almost doubled — going from 2.8 million fans on Thursday to 4.9 million on Friday. 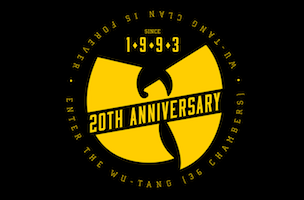 The group announced that, in order to send a message that music is truly art, only one copy of the double album The Wu–Once Upon a Time in Shaolin. PageData shows that Wu-Tang Clan is gaining likes at the second-highest rate on Facebook (with Facebook for Every Phone taking the top spot) and is naturally the fastest growing page in the musician/band category. Here’s a look at the extreme spike in likes caused shortly after the group announced the secret album. Readers: Do you like the Wu-Tang Clan on Facebook? Image courtesy of the Wu-Tang Clan on Facebook.